Light DutyFine textured slip resistant polymer, has many uses on and around boats, including trailer..
High friction, fine resilient textured, non slip material. Reverse side coated with pressure sensiti..
Merchandiser-black grit tt Size: Complete Merchandiser w/3 rolls of Black TapeColor: Black..
Self-Adhesive, Bulk rolls.Easy to install, simply remove liner and apply to most any clean, smooth, .. 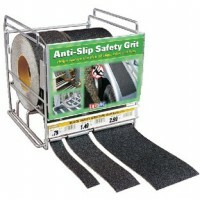 Tape - black grit 1 in x 60 ft Size: 1" x 60'Color: Black.. 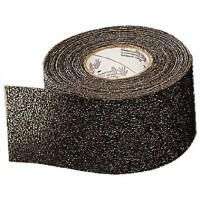 Tape - black grit 2 in x 60 ft Size: 2" x 60'Color: Black.. 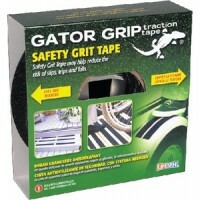 Tape - black grit 4 in x 60 ft Size: 4" x 60'Color: Black..
Self-adhesive. Pack: 10Size: 1" W x 12" LColor: Gray..
Self-adhesive. 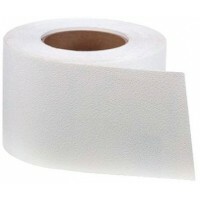 Pack: 10Size: 1" W x 12" LColor: White..
Non-slip, self-adhesive. 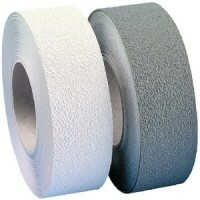 Size: 2" W x 15' LColor: Gray..
Non-slip, self-adhesive. Size: 2" W x 15' LColor: White..